DVDs are pretty much outdated these days. Even BluRay disks are losing their appeal due to mass overflow of pirated stuff across the internet. But often times you need to rip contents off DVD disks for non-commercial individual use which is perfectly alright and not against any laws; you need DVD ripping software to do so. DVDFab is one of the most popular DVD ripper. Feature wise, there are many in theories. Like the CSS decryptor for seemless ripping of any DVD, support for almost every major language, saving movies without the regions encoded in them, grabbing the bonus materials that come with movies etc. You can even restore a rotten DVD; as far as your DVD drive can read it and the rest will be made up on DVDFab. The list of features is moderately rich for a program that copies data from DVD. For example, it justdoesn’t copy the data but also converts into a suitable format that you choose. You will not have to use another dedicated video converter if you want to rip a movie DVD and save that file as a compact movie format. Previous versions of DVDFab used to offer conversion for portable device displays, that feature however has been discontinued in the latest versions. Since the portable devices are now mostly capable of playing videos even up to 4K, the feature has turned very obsolete. In case you own an iPod, PSP, Zune etc. just use the corresponding software that’s been supplied with your device. If you still own a backdated media player that needs videos into a specially converted format, you might use some standard video conversion software. The features are still displayed on DVDFab, but those aren’t free. You need to pay the developers for using those features. DVDFab Gold offers those features out of the box as it is a paid version. The user interface of DVDFab seemed to be very user friendly to us. Even the beginner level users won’t have to struggle finding out where the required controls are located. Maybe some wandering around is needed to get to know the software, but that’s all you need. Too many features would certainly make you feel more precious. 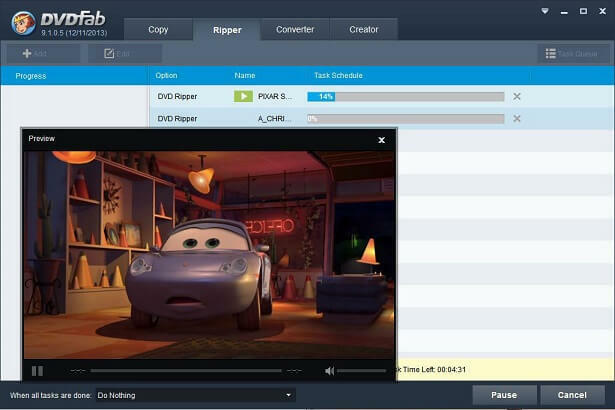 You can even customize movie DVDs and save the modified copies into your own blank DVD disks. If you are unsure of the titles to keep or to delete, just hover over and click on the title names you want to keep and they will appear on bottom left of the screen. DVD title modification on DVDFab is easy. Compression from DVD9 to DVD5 doesn’t face lot of distortion. Your movie files will remain very much useful conserving the resolution, bitrate and overall quality. If your computer is slower, there might be slight distortion and color bleaching. Your computer should meet the minimum requirements for video conversion to carry out a video conversion or compression. On our judgment, we found the DVDFab to be an excellent program. It is mostly free minus the advanced features; you can even carry out the basic jobs without purchasing the Gold version. For your basic DVD ripping requirements, DVDFab will not disappoint you. How do Gas Sensors Work?